Yesterday I was asked to give a talk about the time I spent in Uganda. 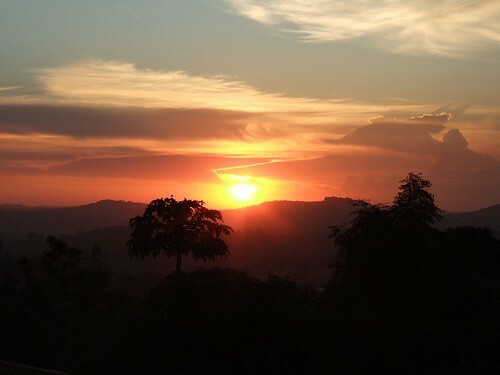 Five years ago I spent a month on placement at Kampala cathedral. It was the first time Dr Ruth and I had really travelled together and we didn’t know what to expect. I bought a new camera and took a notebook. I’m glad I did as preparing for this talk made me dig it out and rediscover some of my memories of our big adventure. There is a vicar staying at the hostel whilst he is studying. He just said something that made me think. “People come to church not because of what they have heard but because of what they have seen. 9 years ago I went to a baptism service to see an 83 year old lady take the plunge. She had decide to make the leap of faith and start following. Before she was baptised she stood up and gave her testimony. She told us exactly how she had come to believe in Jesus and why she wanted to follow him. She explained that she had started coming to church after a conversation she had with her landlord a few months earlier. He was the caretaker at the church and also owned the small flat that she lived in. Her landlord had come around to visit to check that she was alright. The weather had been atrocious for a couple of weeks with heavy snow all over the North East. She explained to him that everything was alright but she had locked herself out of the flat a couple of days ago. She had left her little terraced flat and the latch was on as the door closed behind her. She was stuck in the deep snow until her husband returned. She explained that the young kid next door had arrived home and asked if she was OK. They had never spoken to each other before but he wondered if she would like to come inside to the warmth and wait. In the conversation it transpired that the landlord knew the young kid because they both went to the same church. The thing is, I had no idea who was being baptised that day. I was flabbergasted. From my perspective, I knew the other side of the story. In my third year at university I was sauntering through the thick falling snow back to the little flat I shared with Dr Ruth after a hard day’s slog through a Johannine literature lecture. There was an old woman standing in the snow next to a flat door. When I asked her if she was OK she said yes but she wondered if she could just stand inside my door. Of course I said yes. In fact, I struggled to convince her that it wasn’t too much trouble for her to sit on the sofa and watch my TV. I actually had to pretend that I wanted a cup of tea so that she would have a hot drink. I wandered back around to her flat next door a couple of times to see if her husband was back. When he was she left. No blinding lights. No miraculous healing. No talking about “religion”. Just a cup of tea with no strings attached. What does it mean for me to become that fifth gospel? There are many small group resources out on the market but it’s often hard to find something that is actually engaging. There is nothing more demoralising than finding a small group leader with a tired looking pamphlet entitled something as exciting as “Judges”. 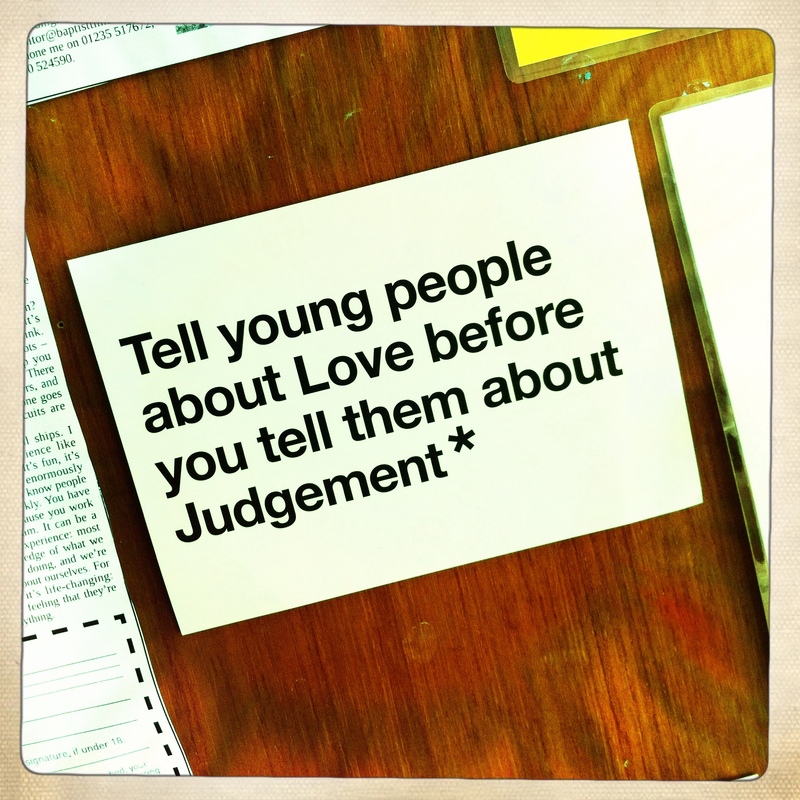 I often find myself asking “why are we doing this” whilst everyone shuffles their feet and looks at the ceiling. When I heard about “Living Distinctively” I was a little more optimistic. What does it mean to live the Christian life? What does it mean to be a follower of the way? What does it mean to be a disciple? If we are truly following, what does that mean? How does it change the way in which we live? 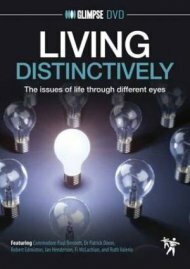 Living Distinctively: The Issues of Life Through Different Eyes deals with the real life situation ethics that society is looking at. Issues such as wealth and poverty or just war theory are explored by prominent figures in the relevant fields. The DVD has 15 minute clips presented by Ian Henderson, a young man with an inquisitive nature. He gently questions each of the guests in their kitchens, places of work and their battle ships (really). They explore the bible, their understanding of God’s nature and the changes that they have been inspired to make to their lives as they follow. The booklet contains enough questions to keep a discussion going for at least an hour and a half. To be honest, the DVD clips are so thought-provoking that we used the booklet to keep us on track but the discussion flowed naturally with little reference to it. Each session ended when I pointed out that we had overrun by 15 minutes. I highly recommend it. Julz has given me a link to Britistics. It is a brilliant visualisation of British life in 2011, cutting through the drivel. Who am I kidding, Julz has a much better way with words. Awesome british statical infographic – everything from time spent arguing to whether we believe more in reincarnation than aliens. Personally I’m voting for aliens!